Riot Games has once again showcased their intense passion for artistic flair with a new promo page for League of Legends‘ upcoming champion release, Yasuo. 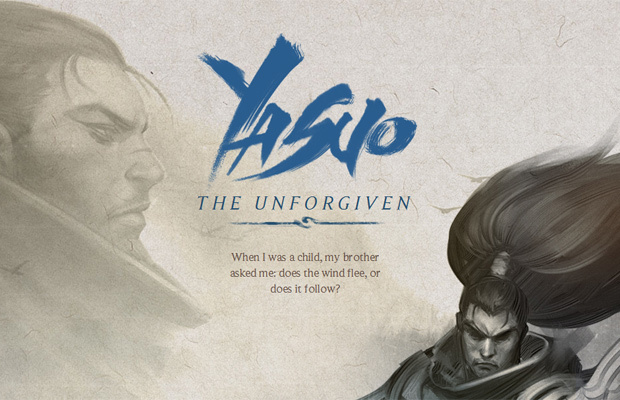 Mixing eastern water paint artstyle with poetic prose, they reveal the horrofic life that has led Yasuo up to the moment he joins the League. See the full promo page here. Cubizone announces open beta for the Southeast Asian servers of Yulgang 2 in mid-January. NGames has officially launched Ragnarok Journey, their latest MMORPG, and it's available on the Game 321 site!